Another day another new insert! Will the madness never cease? 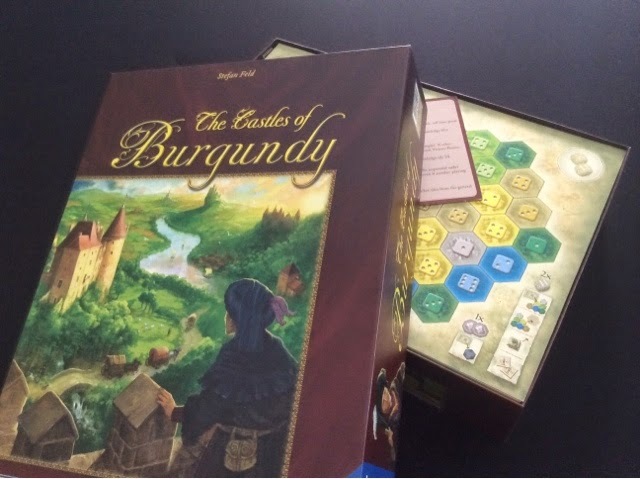 Likewise the insert was made by the very talented Chris Whitpan. It was designed by yours truly; and Chris did a fantastic job making it to every specification I listed. What I terribly dislike about Castles is the amount of fiddly-ness involved with the round washing up and setting up - taking away the old tiles, placing new ones. 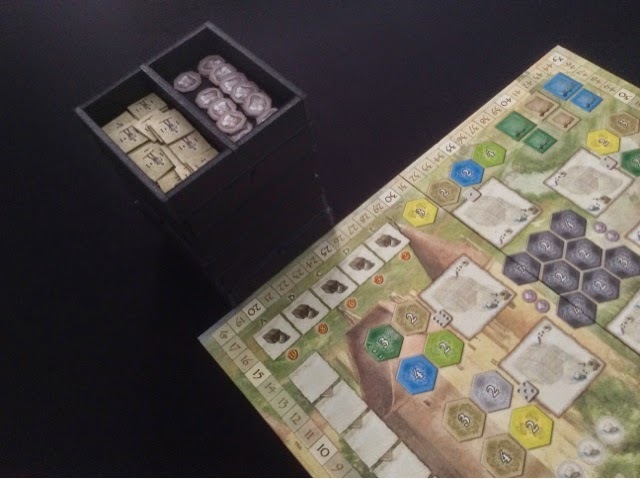 This insert doesn't help with that (for that you might need a machine), but it does help me to organize the pieces very simply and efficiently. I used to use custom made bags for them, but I found that reaching in and out of the bags (which were slightly too small) was very cumbersome, and mixing the tiles was difficult (also due to the size of the bag). So I got Chris to make an insert that was able to hold the pieces and yet be "torn apart" when we were ready to play the game. 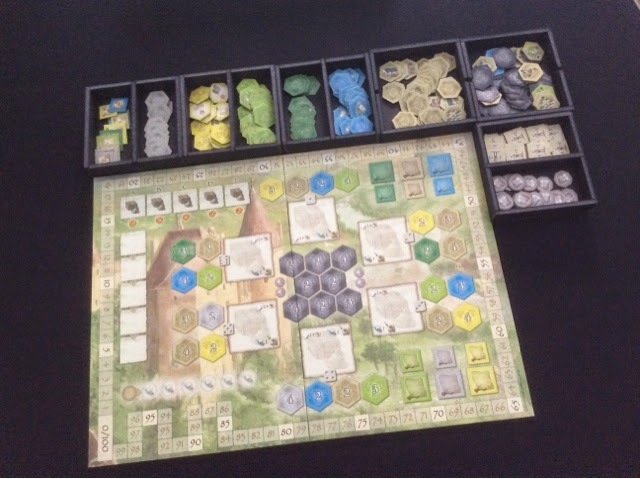 This made setting up Castles slightly faster, mixing the tiles much easier, and the real estate required for the trays was low as they could be easily stacked one on top of the other. The best part of all is that even when the box stands vertically, NOTHING FALLS OUT ! Amazing precision! I shook it, I did a mini dance with it, and when I opened it, viola! everything neatly in place. I'm very happy with how this insert turned out. It actually works better than I thought it would. He also did some nice finishing touches which I didn't notice till I starting snapping the photos. 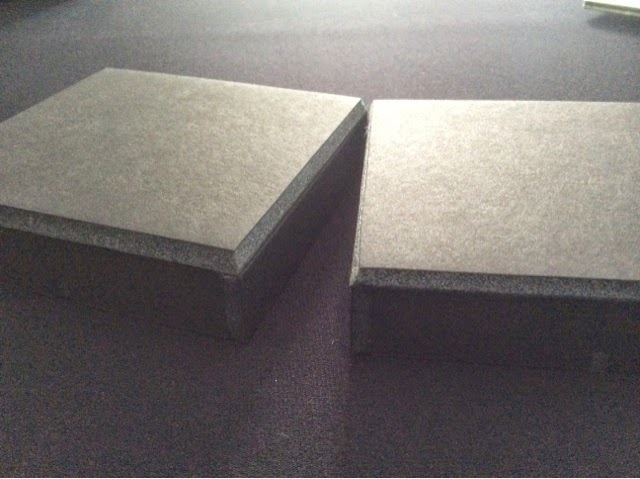 I was surprised to find the base of the trays had a slanted edge. Very useful for stacking the trays! One more down, I think I have another 3 to go? 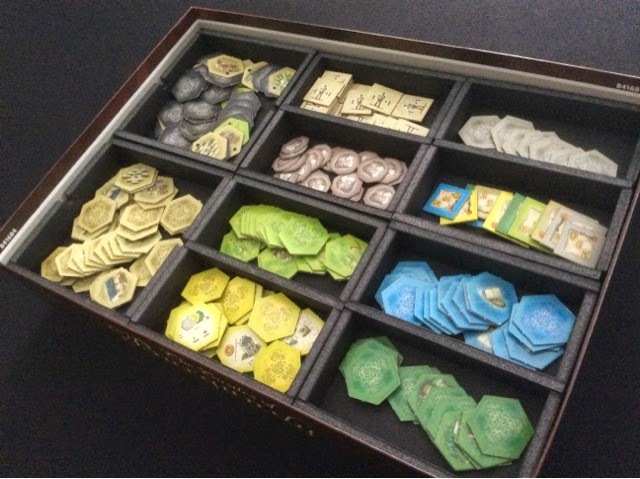 Cool inserts and Chris is super innovative at his design! 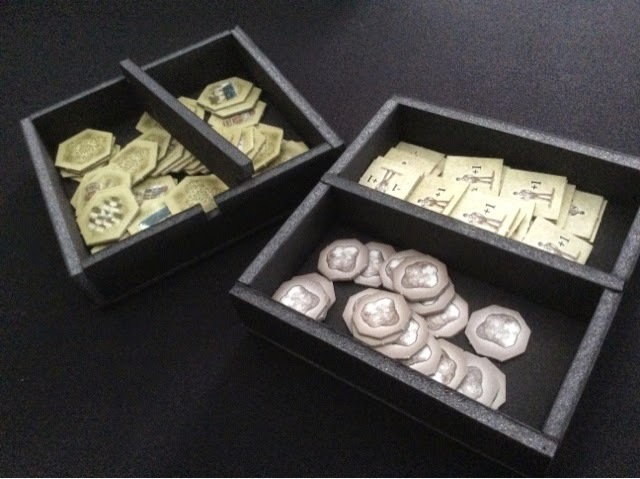 I have been trying to make my own foamcore inserts for Legends of Andor and Lords of Waterdeep recently but nowhere near what I see here haha. Still satisfying though. 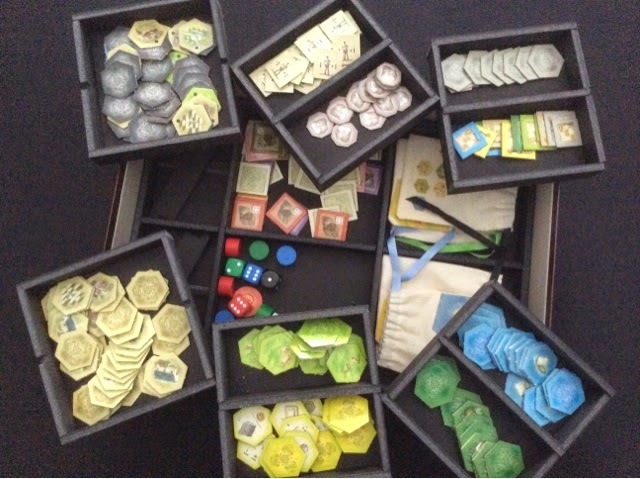 Even made an insert for Battleline because I couldn't fit my sleeved cards inside the plastic insert. And whenever i get slanted edges, it's not intentional at all haha. Yah all my edges are mismatched. Ugly but shipping those inserts over wouldn't be cheap. Hi Jonathan, how much does the inserts cost? Thanks for the kind words Jon, I am thrilled you like them! Glad they survived the trip! Hey Chris, mind sharing how you did those slanted cuts? Really keen on learning the tricks of your trade!